Gregarious, affectionate, and mischievous, Tonkinese cats provide the best of both worlds: Siamese intelligence combined with the laid-back Burmese temperament. The Tonkinese is a Siamese-Burmese cross. Although it was first recognized by the Canadian Cat Association in 1971, Tonkinese cats have actually been around for quite some time. The first known depiction of a Tonkinese cat occurs in The Cat-Book Poems of Siam, written in Ayudha, Siam (now Thailand) sometime between 1358-1767. Tonkinese cats were imported to England during the 19th century as “Chocolate Siamese,” and in 1930, the first Tonkinese was brought to North America from Myanmar by Dr. Joseph Thompson. The Tonkinese breed was officially established in Canada by breeder Margaret Conroy, who crossed a seal point Siamese and a Burmese to produce kittens with light brown fur and aqua eyes. The breed was at first called the Golden Siamese, but in 1971 was renamed the Tonkinese, supposedly for the Tonkin Lowland (the cradle of Vietnamese civilization), despite the fact that the breed did not originate in that region. The Tonkinese strikes a balance between the lean, svelte body of the Siamese and the more compact, solid body type of the Burmese. Dense and muscular, the Tonkinese is a medium-sized cat with an athletic build. Adult females are usually 6-8 pounds and males 8-12. There are other Tonkinese colours such as cinnamon, cream, fawn, and red, but they are uncommon and not accepted by all associations. Like all cats with point markings, Tonkinese kittens are born with solid, off-white coats and their points come in over time in response to environmental temperature. In warmer climates, Tonkinese cats develop lighter, more subtle points, whereas colder climates produce darker points. Tonkinese cats tend to be sociable, affectionate, and vocal. Most enjoy sitting on owners’ laps or riding around on their shoulders, and they tend to follow their favourite humans from room to room, “helping” with the household chores. Tonkinese are among the more curious, active, and demanding breeds. Clever, mischievous, and highly interactive, these cats shouldn’t be left on their own for long periods of time, as boredom and loneliness can lead to bad behaviour. Tonkinese cats love to play, and many will play doglike games such as fetch. Enthusiastic owners have described these cats as a cross between puppies and monkeys due to their friendliness and acrobatic antics. Tonkinese cats usually get along well with other pets and children, though there are exceptions. They also tend to adapt more readily to change and travel than cats of most other breeds. There are no serious genetic health issues associated with the Tonkinese. They are prone to developing gingivitis, so a bit of preventative dental care may be required. Otherwise, the breed shares good longevity with its Siamese counterpart. A well-cared-for indoor Tonkinese can live for around 18 years, barring accidents or serious medical issues. Choosing a reputable breeder increases the likelihood of adopting a strong, healthy cat. The price of Tonkinese purebreds varies depending on markings and bloodlines. Show quality kittens run to $600 and up, while pet quality can be obtained for $550 or less. Those who wish to save money and provide loving homes for adult Tonkinese cats in need should contact a Tonkinese breed rescue organization. Helgren, J.A. (2009). 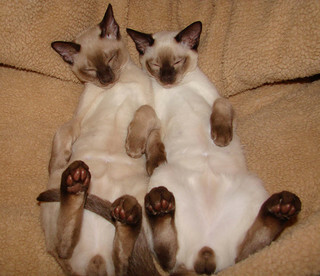 “Choosing a Tonkinese.” PetPlace.com. Ling, C., Canadian Cat Association. (2006). “Tonkinese.” CCA-AFC.com. Mikita, N., Tonkinese Breed Association (2009). 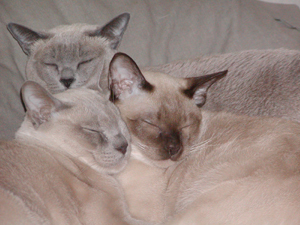 “Tonkinese Colors and Coat Patterns.” TonkineseBreedAssociation.org. Mosshammer, Alden & Mary, Cat Fanciers’ Association. (15 June 2009). 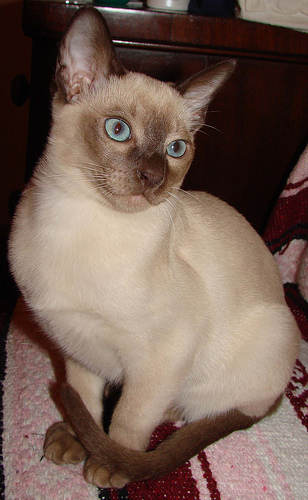 “Breed Profile: Tonkinese.” CFAinc.org. would I find one for the price you mention? Are you buying show quality or pet quality? There’s a large price differential; show quality is typically $600+; some cat fancy organizations say that certain breeders offer pet quality for lower prices.